"my bathroom walls are melting. like dripping, running down the walls, melting," a friend is telling me. immediately i know what she's talking about. the paint looks like it running or drips of water are running down the wall, yet it's dry. as a designer i've studied all different kinds of finishes and sometimes i come across a problem that a ton of people have that has a really simple fix - they just don't know the solution. lucky for my friend, i knew the exact solution for her melty walls. the humid air is actually changing the finish of her paint where dew beads up and runs down the wall because the paint doesn't have a moisture-barrier in it. 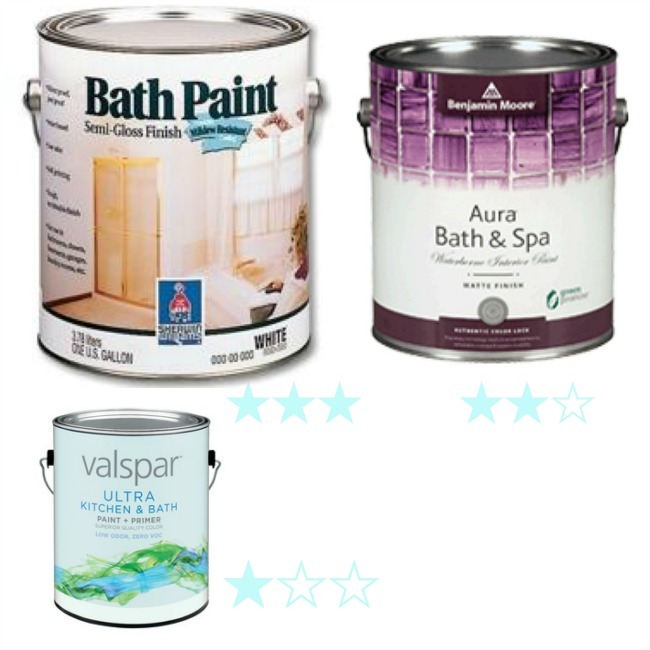 i suggest picking up a separate can of paint for bathrooms and other rooms that get humid, like garages and kitchens. some brands only have white bath paint but these are all tintable. then, before you paint, throw a farewell party to celebrate the melty walls going away for good. i tell ya, there's always a reason to have a party.